Slow progress, but at least I am now loading the support files. 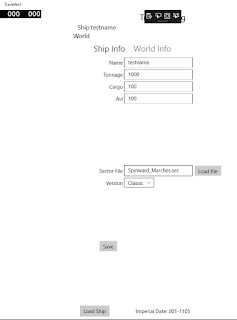 I've expanded the ship class a little, and added at least the lookup to load a sector file. Not processing it yet...Also the selector for the version (T5, Classic, Mongoose - I have those rule sets).